Mikhail Bulgakov (1891–1940) has become the most popular Russian writer of the twentieth century, even though his works were banned for decades after his death due to the repressive Soviet censorship of literature. His great novel, The Master and Margarita (published only in 1973), was written in complete secrecy during the 1930s for fear of the writer being arrested and shot. In her revelatory new biography J.A.E. 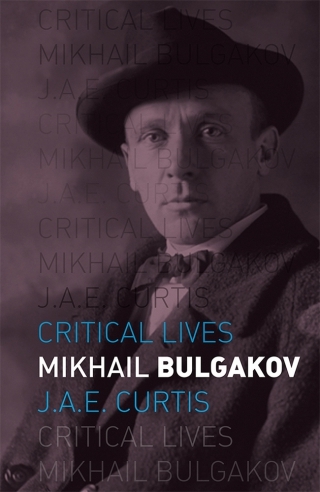 Curtis provides a fresh account of Bulgakov’s idyllic childhood and youth in Kiev, which was swept away in the turmoil of the First World War, the Russian Revolution and Civil War. historical documents, tracing Bulgakov’s absolute determination to establish himself as a writer in Bolshevik Moscow, his three marriages and his triumphs as a dramatist in the 1920s. They also reveal how he struggled to defend his art and preserve his integrity in Russia, and the intensely close interest Stalin took in Bulgakov’s work, personally weighing up each time whether his plays should be permitted or banned. Based upon many years of research, and taking in previously unpublished family papers and Soviet Politburo discussions, this is an absorbing account of the life and work of one of Russia’s most inventive and exuberant novelists and playwrights. J.A.E. Curtis is Professor of Russian Literature at Wolfson College, University of Oxford. Her previous books include Bulgakov’s Last Decade: The Writer as Hero (1987), Manuscripts Don’t Burn: Mikhail Bulgakov, A Life in Letters and Diaries (1991) and ‘The Englishman from Lebedian’: A Life of Evgeny Zamiatin (1884–1937) (2013).